When you are switching from conventional beef to grass-fed beef, there are a couple of cooking secrets you need to know. Since grass-fed beef is much lower in total fat, it can become tough if not cooked properly. Never over-cook! Grass fed beef is best cooked to medium-rare to medium. Use a tenderizing tool like the Jaccard Tenderizer. This does wonders for tenderizing grass fed steaks. 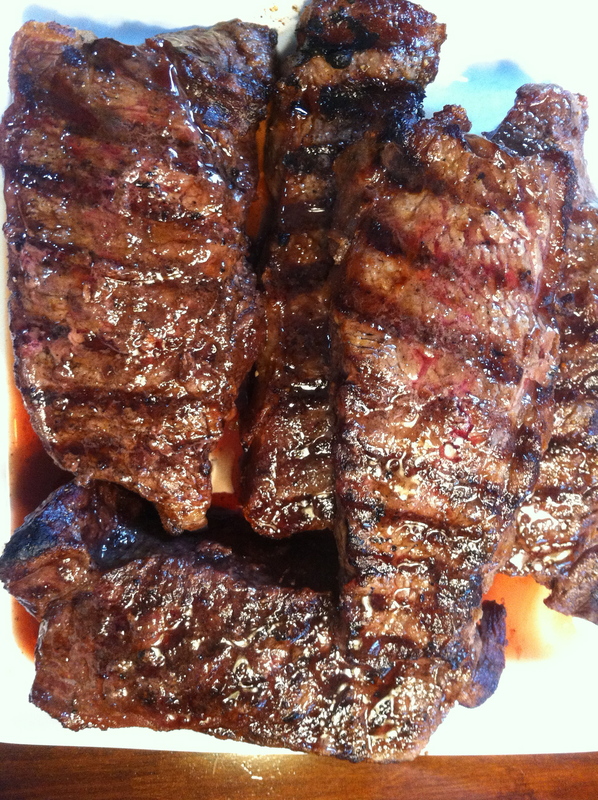 Marinate the beef for at least 30 minutes with olive oil, lemon juice or apple cider vinegar, salt, pepper, and spices. Cook on high only to sear then cook on low-med heat. Never cook on high heat. Never cut or puncture the beef while cooking – it lets all of the juices run out.